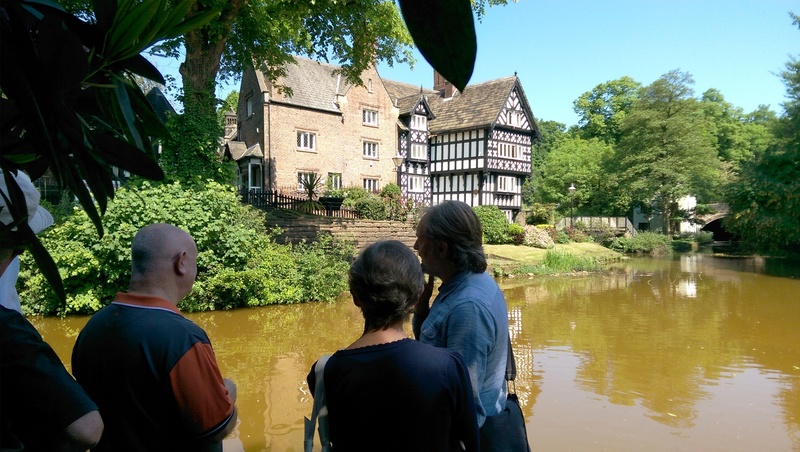 We are working with the Institute of Tourist Guiding to deliver a Green Badge Guide Training Course focused on the Bridgewater Canal in Salford. Led by Course Director Tess Pike, this course will support volunteers (and others) to become professionally qualified and registered Green Badge Tourist Guides, as well as providing a foundation for continuing professional development in tourist guiding. The Green Badge is a symbol of this national qualification and provides recognised evidence of excellence in guiding skills. The course is accredited by the Institute of Tourist Guiding, the government-approved standard-setting and registration body for the tourist guiding sector in England. Designed to be part-time, the course begins with an introductory day in July followed by a series of weekly sessions starting in November with lectures and practical training sessions included. The sessions will be held in different locations throughout the Bridgewater Canal in Salford area. Full details of the course, relevant dates and fees.are included within the prospectus document which can be downloaded below. We welcome all applications, however priority will be given to applicants who have been actively involved as volunteers for the Est.1761 project to date. It is however highly likely that we will be able to accommodate a number of applicants who do not fit those criteria but they would be expected to pay their own registration and examination fees (although training costs are covered by our project). Again, further details are available in the prospectus. The closing date for applications is Monday 18 June 2018, with interviews taking place the following week (on 25 and 26 June 2018). Please note - we will accept applications until midnight on Monday 18 June 2018.